BlackOut’s Art Director Philip Barket will be having his first ever First Friday Scranton show entitled: Wood, Sweat, and Lead: Letterpressings. 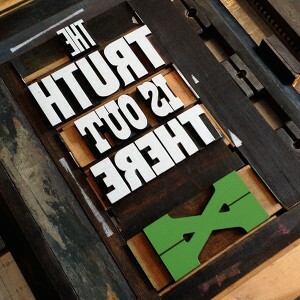 For the past 12 months he has been working with turn of the century wood type and mid century metal type to produce pop culture related posters and prints in small runs on a hand pulled Showcard proofing press. Join us as he proudly displays his work for the local community to see on Friday, August 1 at The Workshop, located at 334 Adams Ave, Scranton.